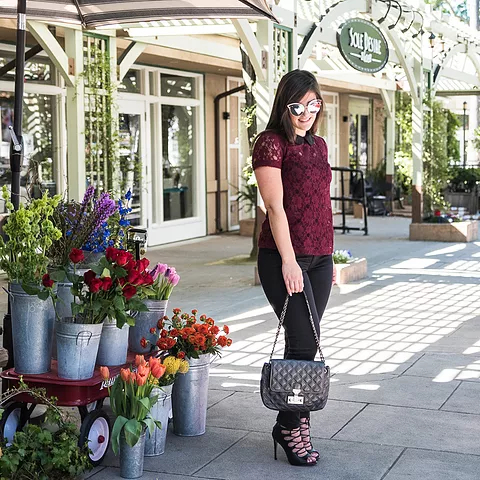 I love everything lace and it’s so perfect for summer because it’s so light and you can still feel the cool breeze on your skin when you’re wearing a t-shirt or long-sleeve. These sunglasses are everything because it also adds a little something extra to the look, all the while keeping the sun out of your eyes. Now onto the color combination. I love love love black. Even though it is summer, it is still very acceptable to wear it.